It is a historical constant, the correlation between scientific and technological advances and the evolution of societies, but this process, which has been occurring in waves, and accelerated since the industrial revolution, will have an unsuspected evolution in the next years. The current industrial revolution, in which we are immersed, will affect all sectors of the economy and society: trade, transport, tourism, etc … Even banking or financial services, will undergo major changes, fruit of the computer technology and telecommunications revolution. Engineering and technology will once again be the protagonists of this new social and economic revolution, which will once again favor societies. 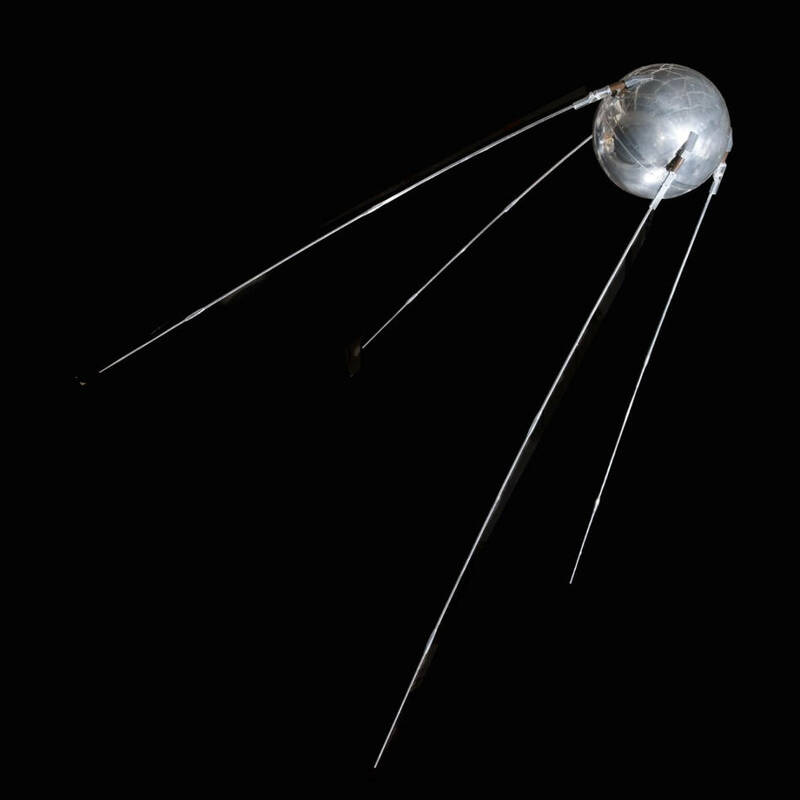 The Sputnik, the first artificial satellite in history, launched on October 4, 1957 by the Soviet Union. In this blog, we would like to refer to the impact of engineering and technology on social welfare, and the importance of science in this process. Besides exposing the research work developed by Advanced Dynamics, we would also like to pay a modest tribute to all the engineers and scientists who, with their personal effort, have allowed such important advances in science and technology, in a collective effort, and in many cases also, ignored and unknown, without any recognition. 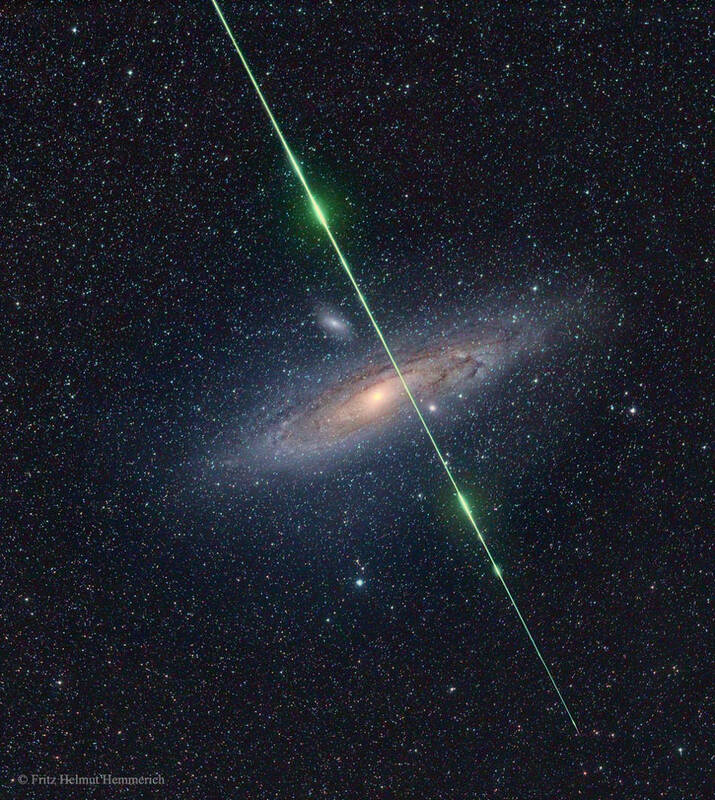 NASA: Meteor and galaxy Andromeda. This common work of so many human beings, in order to improve the environment in which the human condition develops, is an effort of generations, which is accumulating in geometric progression, also in the search for the scientific truth of nature. In this tribute, the research agencies and international astronautic organizations, or of the different nations, deserve a special recognition, since with their effort and progress, they have allowed us a new vision of the universe, but also, it has allowed us to have a new sensitivity towards our own planet Earth. 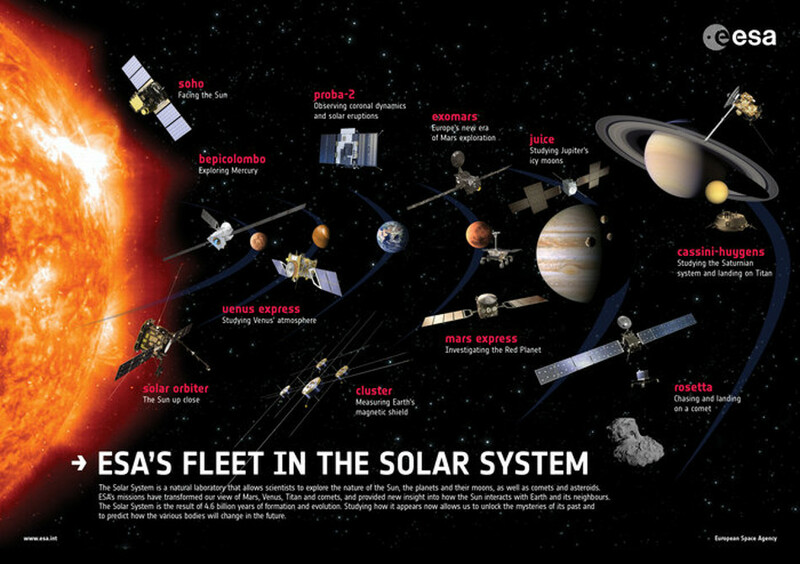 Poster of the European Space Agency with its space fleet. For this reason, we have incorporated in this blog illustrations of the different astronautic agencies, to remember their main referential milestones. We hope that this text contributes to a better social perception of physical research and of the advantages for society of having this knowledge. 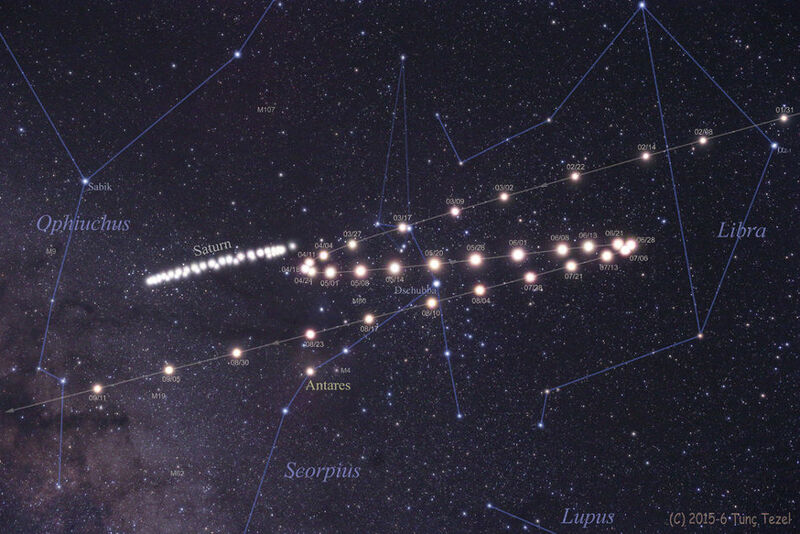 For the ancient astronomers, it was difficult to identify the true trajectory of certain celestial bodies that they observed in the dome of the sky, and to which they denominated planets, by their apparent retrograde movement. His observation did not seem to correspond to a logical description, as could be visualized in the case of stars, which described uniform and periodic trajectories. Copernicus imagines that both the earth and the other planets orbit in the sky around the Sun, each also disposing of intrinsic rotation, and in this way explains those strange trajectories that we observe for the planets. Sequence of exposures of Saturn and Mars for an observer on Earth. After centuries of acceptance of the Aristotelian and Ptolemaic static universe, Copernicus is the founder of a more modern astronomy, which provides the basis for Newton to come to suggest his new astronomical revolution. Copernicus exceeds the model of geocentric cosmos, proposing a heliocentric universe, although still conditioned by traditional hypotheses. However, this Copernican Revolution, decisively changes the vision of the universe that had prevailed until then, and initiates the foundations of the scientific method. But it is that the planets, and in general the celestial bodies, besides their orbitation, revolve on their main axis of symmetry. However, this peculiar feature does not seem to have constituted the interest of astronomers to this day. 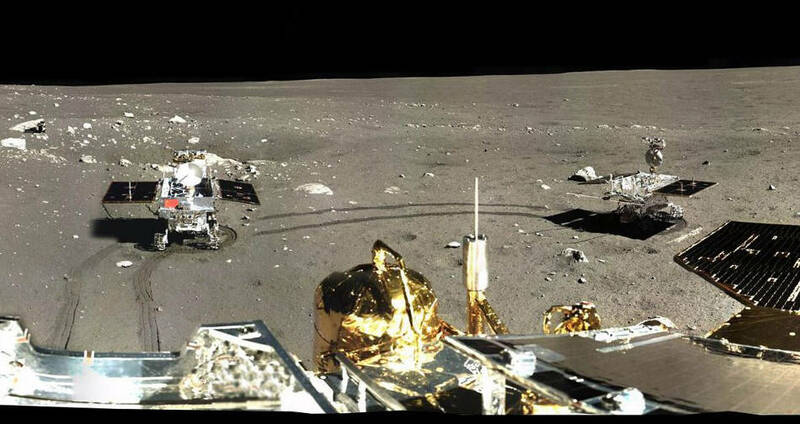 From the beginning of our research project, we came to the conclusion that there could be a nomological physico-mathematical correlation between the simultaneous movements of rotation and orbitation, which we observe in the celestial bodies. Observing in nature the constancy of the relationship between orbiting and intrinsic rotation, Gabriel Barceló deduced the principle that: Everything that orbits, rotates; 9 that is, every body that moves through an orbit, simultaneously turns on an intrinsic axis. He deduced this principle from the observation of the planetary system, from the rings of Saturn, but also from the behavior of the spinning top. The Theory of Dynamic Interactions allows to justify that constant coincidence between orbiting and intrinsic rotation, and to develop a specific dynamics for bodies in rotation, subjected to successive moments or pairs, in which the sequence of the action of the forces, and their behavior, do not exactly matches the laws of Classical Mechanics. The establishment of the laws of mobile behavior with intrinsic rotation in space, and therefore the development of this theory, has been made after experimentally confirming its forecasts on the real inertial behavior of the matter in rotation.